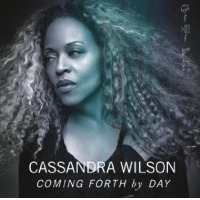 WBGO-FM Midday Jazz host Rhonda Hamilton interviews singer Cassandra Wilson about her life and her new CD Belly of the Sun. 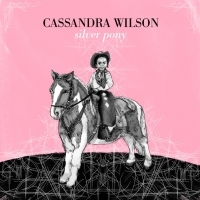 Rhonda Hamilton: On Belly of the Sun you took inspiration from the Mississippi Delta where it was recorded. You are from Mississipi, born in Jackson, and you decided to go home to make this album, why? 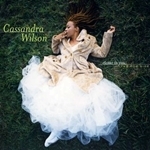 Cassandra Wilson: Well, I felt it was time to go home. I have been recording in New York since the beginning of my recording career. RH: You recorded in a train station? CW: Yeah. It was a depot that had been used for community activities, and they actually do parts of the Sunflower Blues Festival in this Clarksdale train station. We went in right after the last act of the Sunflower Blues Festival and started to go to work to rig up everything so we could record. RH: I was talking about the wide variety of music that you chose to sing on this release. You used a lot of different influences in your music. How did that come about; this willingness to be so experimental and to open yourself up to all that's out there? CW: I'm always looking for ways to develop as an artist, especially as a jazz artist, to find different ways of testing my voice. New material always pushes you. 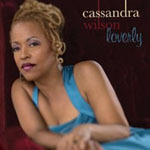 You have to look for some way to express new material with a jazz sensibility. It's one thing to go to the standards you know because it's very familiar. Once you step outside of that cannon and you try material that has never had a treatment like that, then it pushes you, it challenges you. RH: Belly Of The Sun, the title of this CD has an interesting story. How did you come up with that. CW: It's actually taken from a lyric inside of the song, "Only A Dream In Rio". There's a lyric that's said in Portuguese, which means "when our mother rises we will meet in the sun". I had it translated into Yoruba just to hear what it would sound like and it was explained to me that in the Yoruba translation you would say "in the belly of the sun." RH: What was the point at which you realized that singing was what you wanted to pursue professionally? CW: I think I knew when I was a little girl that it was what I loved. I used to love to make up melodies and we'd have contests in the neighborhood to see who could make up the prettiest song. So, I knew then that it was something that I really had a passion for, which I really loved. But, my mother was always very practical and she said "You know it's going to be difficult to make a living doing this. You should go to school and get a degree in something other than music." So, I got a degree in Mass Communications. I actually worked at a television station in New Orleans as the Assistant Public Affairs Director at WBSU. RH: And then you came to New York and decided to pursue your music career? CW: I couldn't get a gig in broadcasting because I went from the New Orleans market to the Number One market in the country (NYC). So, I started hanging out, going to the jazz clubs, sitting in, and meeting great musicians. I was very fortunate; they took me under their wing. I started getting gigs and that's how I got back into the music. RH: Betty Carter was someone who was a big influence on you, in what way? CW: I first saw Betty Carter at the New Orleans Jazz Festival. She's a powerful bandleader. I really learned a lot from watching her deal with her musicians and watching her orchestrate the performances as they went along. Betty was really known for her improvisational skills. I learned a lot about the business and how she really took control of her own destiny. RH: You've included a couple of your own originals on this album. One that I particularly like is called "Justice". Now, what was the inspiration for this piece? CW: I wrote "Justice" about the time of the presidential election. I was so frustrated and so disappointed in the outcome. I really felt for those people whose vote did not count. It just seemed so sad to me that in the year 2000 there were still black people who were having difficulty voting. That's why that song was written. That was the inspiration.